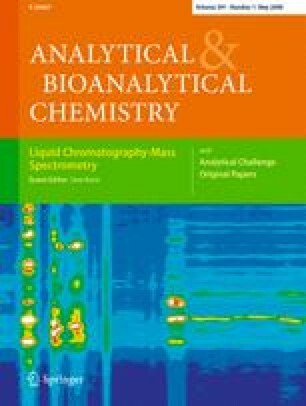 Following a recently developed concept of MS binding assays based on the quantification of a native marker by LC–MS a procedure to study binding of a low-affinity marker in kinetic, saturation, and competition experiments was established. Separation of bound and unbound marker—the most crucial step of the assay—could be effectively achieved by filtration in a 96-well-format. MS binding assays according to this procedure allowed the reliable characterization of NO 711 binding to mGAT1 in presence of physiological NaCl concentrations. Comparing the results obtained in the present study with those from experiments using 1 mol L−1 NaCl in the incubation milieu reveals remarkable differences with respect to the marker’s affinity and kinetics and to the investigated test compound’s potency. After incubation of a target with a native marker, bound and unbound marker are separated by filtration. Subsequently, the bound native marker is liberated from the target and finally quantified by LC-MS-MS.